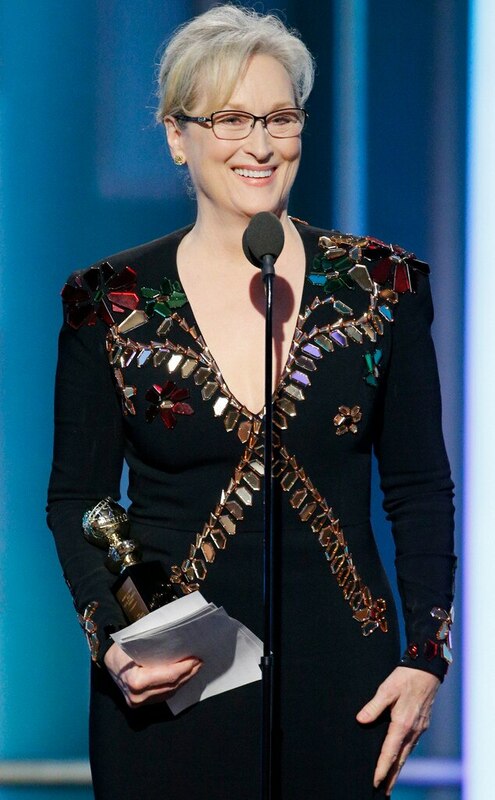 As if the audience didn’t already feel inspired by Meryl’s work throughout the years, her acceptance speech was much needed at a time like this around the world. She lost her voice and still managed to give probably the best speech anyone has given at the Golden Globes. Here are a few standouts segments of her speech, just so you have an idea of how incredibly powerful this moment was. OMG!!! Seriously, Meryl! You can’t do this to us. It was a flawless speech that brought everyone to their feet. Everyone in the room stood up in awe of what they had just witnessed.